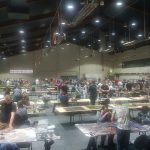 The Australian Defence Force Wargaming Association (ADFWGA) aims to promote the hobby of table-top wargaming amongst Defence Force members (current and ex-serving) while providing links to local gaming communities and supporting its selected charity - Soldier On. 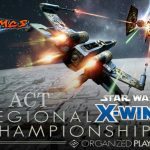 This year the ADFWGA will run two major events the ANZAC Cup in April (Canberra) and HEROCON in December (Brisbane). 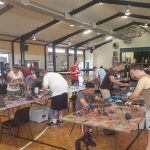 These events will provide an opportunity for ADFWGA members to establish links local gaming communities while combining tactics and strategy with fundraising activities in order to meet our 2018 aim of raising $10,000 for Soldier On. Great to see that a small group of determined individuals can make such a massive difference! Well done to everyone that helped and contributed with the ADFWGA 's 2018 events 2019 is shaping to be a great year.